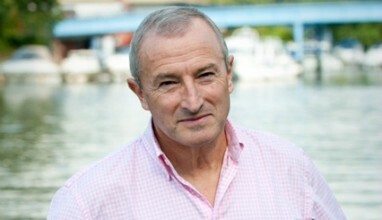 Sports broadcaster Jim Rosenthal, celebrity chef Brian Turner CBE and Olympian Carl Hester MBE are encouraging men to grow a beard this December and raise money for the charity. third most common cancer in men. It’s also the nation’s second biggest cancer killer but it shouldn’t be, as it’s treatable and curable, especially if diagnosed early. Join us this December, get growing your beard and raise as much as you can. Sign up for your free fundraising pack today. Read a blog from fundraiser Richard about why he grew a beard for Decembeard last year and how he raised £8,000! Are you growing your beard for us this December? Share your story with us.